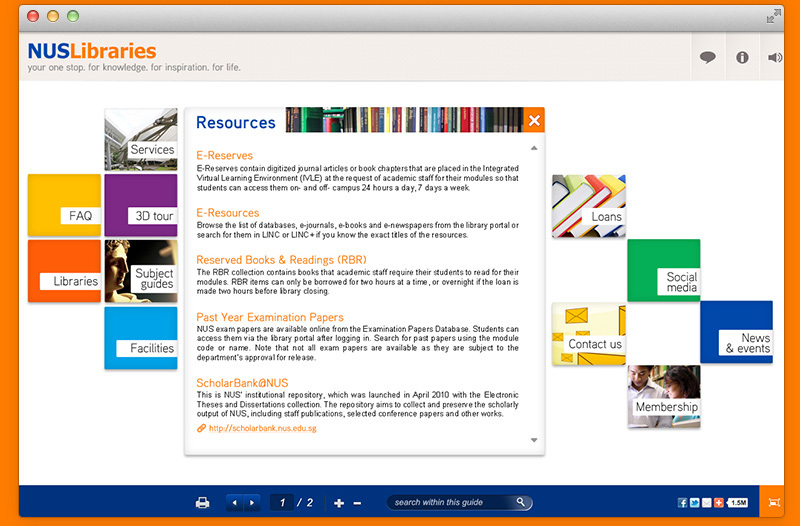 We assisted NUS to achieve the objective of producing an online interactive library guide that is capable of orientating new students and staff to the NUS libraries and serve as an easily quick accessible reference guide for library users. 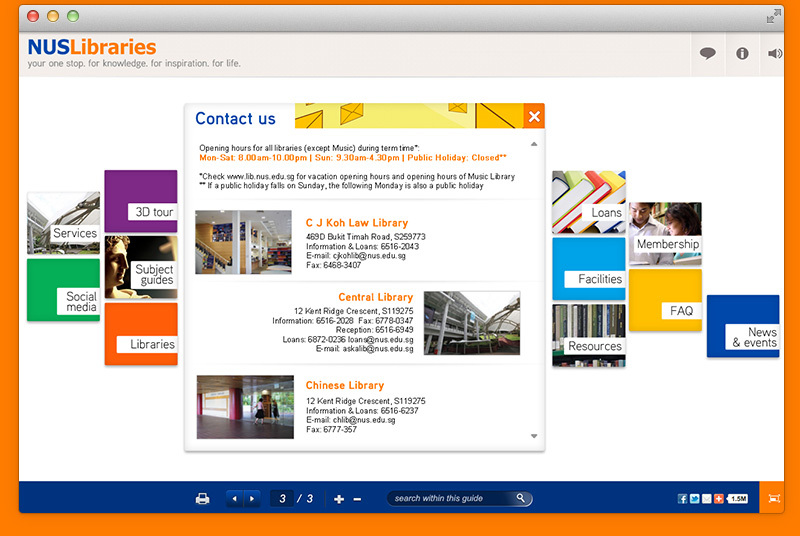 We developed an interactive guide with an aesthetically pleasing design to present the information and resources for tertiary users by using an intelligent layout that is quickly and easily accessible. - Being Intuitive to User Needs – we ensure all important information, especially those that need to be referenced to quickly and urgently, can be accessed with minimal clicks. - Accessibility via preferred choice of platform and device - the interactive guide made available in both flash and html options across all commonly used desktop, laptop, tablet and mobile device platforms. We ensured that the experience across the all platforms remain the consistent and familiar to users. 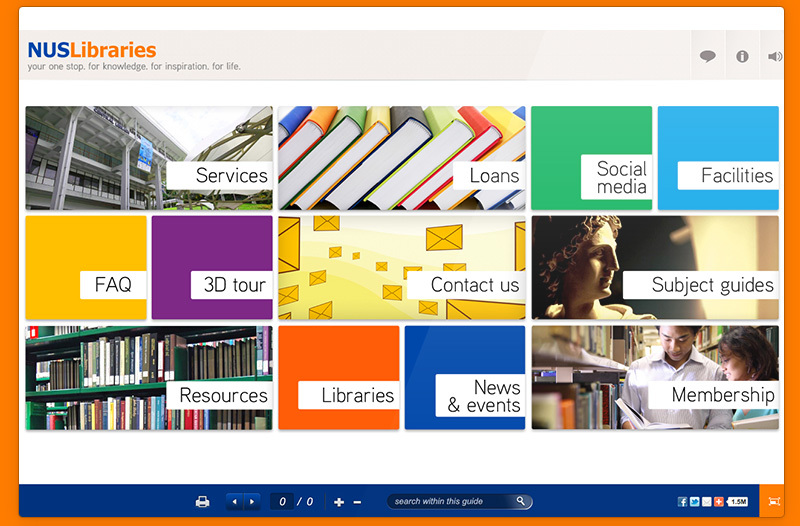 - Intuitive Labeling & Categorization of content – We ensured that information required can easily be obtained by users.